"Works out of the box with great support"
I like its simplicity and versatility. If you're a small comms team, Sideways 6 is like having an extra member, helping you with internal social. The preview mode for scheduled posts could be better. The site doesn't seem to remember my login credentials, so I find myself having to type them in multiple times each day. If you're looking to get more out of Yammer as a serious business tool, Sideways 6 does a lot of the grunt work and can help you unlock the power of internal social. Early days, but it's been useful for launching our Yammer education campaign and also harvesting insights and league tables on where the best ideas and most activity is coming from. "First campaign with Sideways6 a roaring success"
The interaction with customers from the team is excellent, whenever I had a question I could ask the live chat or email our customer success manager, and they would ensure to get to the bottom of any questions we had. I love the stages that you can set up to move submitted posts through to work like a pipeline and to more easily manage the flow of ideas through to review and outcomes. This also makes it possible to use Sideways6 as a presentation tool in terms of the dashboard to update stakeholders on the successes of the campaign. The interface can be a bit boring to navigate, but is ultimately sleek and minimalistic - it does the job it is required to do. Sometimes I wish it had a few more gamification badges perhaps, and the number of clicks for certain actions can mean some processes are a little long. Find the way that Sideways6 can work for you and your project/campaign, its very flexible and there are lots of ways to use it to reduce your manual workload. If you find a feature that doesn't work as intuitively as you need it to, discuss with the customer success manager and product team as chances are its either in the product roadmap, or it could be with your feedback. We are using Sideways6 on a company wide crowdsourcing campaign for ideas to solve and improve problems in colleagues' working lives. Its benefits are huge, including the mass management of a large number of ideas on the platform rather than having to manually pull them into a spreadsheet from Yammer. "A fantastic platform for idea capture"
The team at Sideways 6 offer the best support! Justine has been there every step of the way during implementation and has provided information at just the right level. I use a laptop and find the text is really small and difficult to read - could the font size be increased? Talk to the team at Sideways 6 and find out how it could work with Yammer for you. They really take the time to show you the ways that you can use the platform. Sideways 6 has offered a solution our Yammer onboarding in a seamless and streamlined way. The platform offers a fantastic opportunity to capture crowdsourced ideas and prgress these forward to an end result. one tool to pull data from different yammer groups to simplify my searches and report all in one easy manageable area. The setup could be easier and more intuitive, challenges and other words do not appropriately define the characteristics of their purpose. users post on different threads/groups on topics i need to be aware of. Ease of access to all via the centralised Sideways6 operation. "Excellent ideas management tool and support"
Sideways 6 provides powerful content management for Yammer groups and challenges that helps you keep track of ideas, whereas using Yammer itself may mean those great ideas could get lost. The platform user interface is simple to understand and easy on the eye...always useful for if you're going to be looking at it for a long time! Best of all is the relationship we've developed with the team at Sideways 6. They've always been on hand to support with any issues or questions we may have, and have been hugely receptive to feedback on how the platform could be developed to suit our ever-demanding needs. Occasionally the system can lag / run slowly. We're aware this could be linked to the amount of data we're putting through it at any one time, however, and as above the team have always been on hand to support where needed. "Idea management platform for global business services centres"
In the project of set up idea management platform for global business services centres we valued the product for being cloud based solution that enables structuring gathered information and its management. Communication feature with ability to predefine notification templates to users to standardise response types, and scheduling notifications to engage and remind employees on the campaign. Basic product lacked extended KPI measures on platform users (if reviews are run in a timely manner, where are the bottlenecks). Engagement of employees to share their ideas, which resulted in performing continuous improvement projects and activities. "Excellent product from a friendly team"
It's streamlined and largely intuitive - crisply designed and presented. Simplifies a process that would be laborious using older methods and encourages participation/collaborations across the organisation. And the human team behind it are enthusiastic, friendly and sharp. Perhaps the interface could be simplified still further (for amateurs like me)? There were times when I was trying to do the right thing but in the wrong panel. Driving yammer engagement/take-up across a sceptical organisation, in particular running and analysing as staff ideas campaign. "A great bolt on for yammer"
I love the way that Sideways allows the team to manage the ideas through the stages, and statuses from end to end. "Easy to use, great product"
Product is easy to use, makes capturing ideas from people all around the business simple and easy to review. Attentive staff who make sure they cater for individual needs. Nothing to note. Anything that we have required to change has been done so very quickly. Highly recommend, easy to use, support from S6 fantastic and very agile when dealing with changes required. Company wide problems linked to commercial priorities. Easy to capture all of our people's idea with very little manual work required. Simple rating system enabling appropriate managers to review the idea. The introduction of Sideways 6 in my company enabled a new way of working, allowing the whole organisation (globally) to quickly and easily share their ideas throughout our business. What appealed to us was the focus on the key three pillars of our organisation: ideation, insights and innovation. We're a consultancy based on London, UK and our clients depend on us to be their creative arm; Sideways 6 allows us to become more profitable, by sharing ideas for new projects, new ideas around the office, new ideas within the industry, in one central location. It also helps our organisation be more engaged with our employees; peoples voices are actually heard. We were concious about implementing the solution and thought to ourselves, it is enough? The success of the implementation is measured by converting ideas into actionable movements and how effectively a persons voice is heard. Perhaps our only dislike is the lack of analytical features supporting the application. However, we have regular contact with the team at Sideways 6 and the account managers say they this is part of a next release. 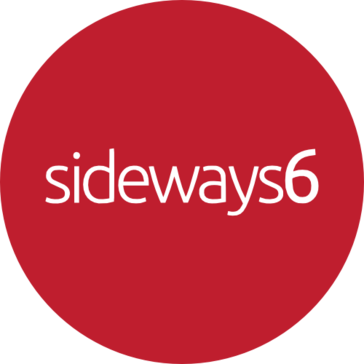 If you are looking to transform your internal business processes and introduce a new idea management tool focused on your people, the Sideways 6 should certainly be considered. We have solved a number of business problems, perhaps the largest is the way we log time sheets. We had a big problem with teams not updating their time sheets. The business challenged the employees to voice their opinion, since we have released a new time sheet programme into the business and are using a new tool (thank-god!) to make things easier. We had a number of problems around internal announcements; many of the teams felt they were not receiving information as others were. We made changes to our Intranet and made sure that HR Teams broadcast information on a fair scale. * We monitor all Sideways 6 reviews to prevent fraudulent reviews and keep review quality high. We do not post reviews by company employees or direct competitors. Validated reviews require the user to submit a screenshot of the product containing their user ID, in order to verify a user is an actual user of the product. Hi there! Are you looking to implement a solution like Sideways 6?